Linked with our mission to serve the power sector in the emerging markets is the passion to develop & chisel the skills of the people in this field. 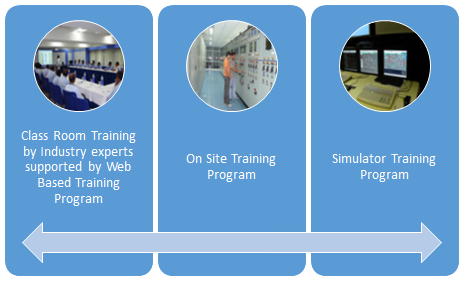 OMS Power Training and Research Centre in Bhubaneswar India bear the testimony to the fact that trainings are pivotal to make a difference in the power sector. OMSPTRI, recognized as Category-1 Institute by Central Electricity Authority, Ministry Of Power, Govt. Of India. Mandated by Government of India to provide training on Thermal, Hydro and Power Management. Highly experienced Faculties & Professionals. An institute first of its kind in Eastern India.